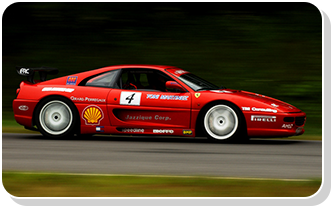 Transport- Dynamic Racing Services enclosed carriers can handle all types of race cars. 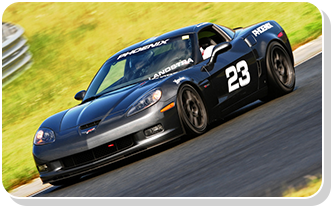 From NASCAR style race cars to your weekend warrior with aftermarket modifications, we offer total event packages including roundtrip transport of your race car or multiple cars to the track for testing or race day. 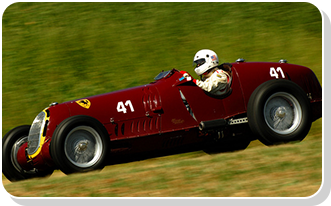 We have experienced specialists ready and waiting to make your race week or weekend one that you can remember. Dynamic Racing Services and its specialists can remain at the track for your convenience and secure your vehicles, tools, engines, transmissions, tires, and miscellaneous parts for the duration of your stay. Have team members that want to share the expense? We can easily handle multiple vehicles and equipment for your convenience. If racing is as important to you as safe and secure transport is to us then contact Dynamic Racing Services now to book transport for your next racing event. General Race Prep- In between events the car is looked over, wheels tires and brakes are serviced as necessary. Fluids are checked, flushed and changed as necessary. All suspension is checked, and serviced as required. Engine, exterior, and interior are cleaned. A list of recommended modifications, upgrades, and service is generated and discussed with the customer, and all approved service is performed. Fabrication Services- Most fabrication, such as roll cages and welding, is done in-house. We have top shelf equipment and years of experience designing, and building, roll cages and safety upgrades for existing cages. What we can’t do in-house is done by a local machine shop that offers exceedingly high quality work. Wheels, Tires, and Alignment- We have modern tire machines capable of mounting the most fragile of wheels without marring or marking them, and an associate shop has the experience and tools to align just about any kind of car to our specs and dimensions. We can deliver your car, prepare it, and best of all, keep it, and you, on track once you arrive. We will help you prepare a spares package with a plan that meets your budget while keeping you supplied with the parts you need to cover almost any eventuality. We are always there to help with a brake change, a tire pressure and temperature analysis, or just being able to offer a tool or a piece of hardware from our well supplied trucks. We are capable of major services ranging from crash repairs, to engine work, and diagnosis. Our trackside suspension solutions are second to none, and with our experience in set-up and suspension dynamics we can often get an ill-handling car back on the right track and working like a champ during the event. Dynamic Racing Services is proud to present an exhilarating opportunity to drive your exotic car on a race track that’s ready to give you the adrenaline fix of a lifetime. Our tracks are conveniently located in the tri-state area for all thrill-seekers and car enthusiasts to enjoy. Catering to the most discerning clientele, our innovative approach to road racing will change the way you enjoy your high performance automobile. With our exclusive Arrive and Drive Program, we take the stress and complication of a track day out of the equation and let you focus on one thing-- driving. From transportation for your automobile to and from the race track to expert track-side support and five star hospitality, we provide a racing experience that is second to none. Real-time coaching from professional racing instructors will have you pushing the limits of performance lap after lap in a fun and safe environment. Our trained staff of professionals makes the experience easy and accessible to all participants. It's as simple as Arrive, and Drive. 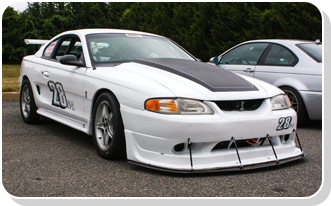 You arrive to your professionally prepared car, get in your racing gear and hit the track. After a couple of warm up laps, pull in to the pits to have your race team check tires, give you professional input, and get back out on the track! When the morning session is over we take care of the car while you enjoy a professionally catered lunch and get ready for your next driving session. After an exhilarating and adrenaline filled day, we will load your car into our 54' racing hauler while you unwind and reflect on your experience.